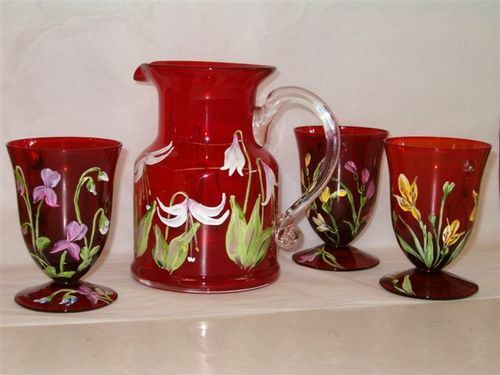 Elegant glassware hand-painted with both wild and domestic flowers. Machine washable. 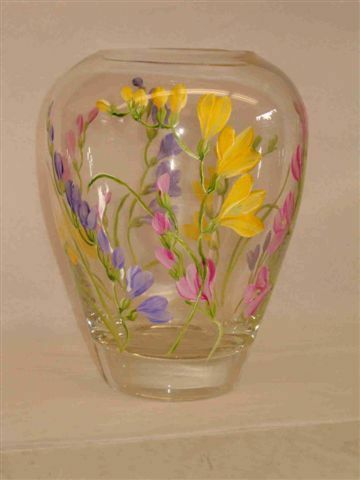 Tangled freesias in life-like colour on a crystal vase. 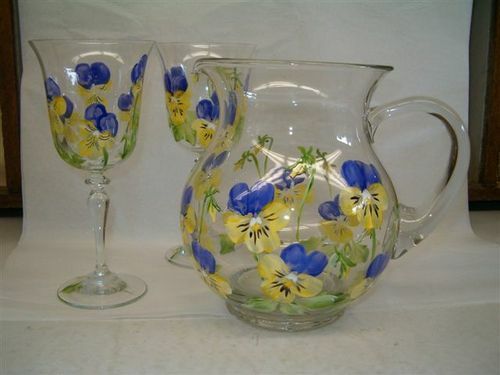 Viola from your garden painted on wine glasses and jug. They can go into the dishwasher! Always favourites, irises. 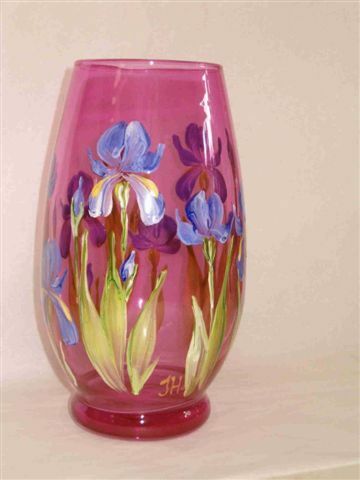 Here on a cranberry-coloured glass vase.